Occupy Atlanta took to the streets of Atlanta yesterday, and for a brief time blocked a portion of Courtland Avenue at Georgia State University. According to a video report by WSB TV, the Occupy protesters "were protesting policies by GSU, the state, the government and corporations that left students broke without jobs and with sky high student loans." Apparently Occupy overlooked students' individual responsibilities in its assessment of blame. There's nothing compulsory about higher education. Blocking a street won't erase protesters past bad choices, it only shows how little some of them learned while overspending for an education. In 1987, ABC TV ran a miniseries set 10 years after a fictional take over of the US by the UN and Soviet Union. 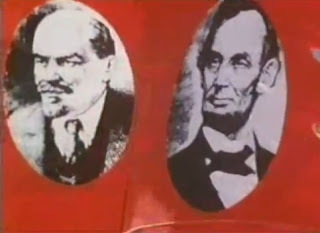 In the series, images of Lincoln are used to validate the Communist indoctrination being forced on the people. In the series, character Col. Andrei Denisov notes "Symbols can be turned. Who could have imagined Abraham Lincoln being turned on his head"
Here is a Lenin-Lincoln image from Amerika, as well as some popular images presented around the time of Barack Obama's rise to power. 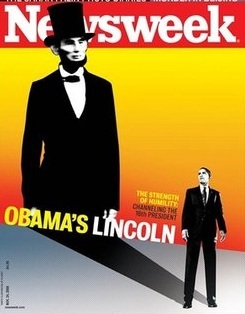 The obsession with Lincoln is uncanny. On a related note, some Socialists attempt to make the case Abraham Lincoln was one of their own. Is there any chance some of Mr. Obama's attempts to identify with Lincoln were intended as a double entendre? 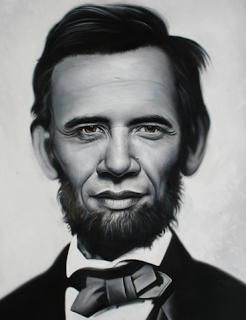 One designed to portray Obama in step with the traditional understanding of Lincoln to a mainstream audience, but also intended to send a veiled message to a sympathetic Socialist community. 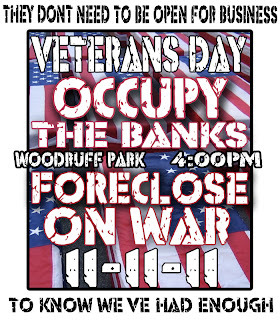 Polling reveals Occupy Wall Street does not speak for the 99 percent. The PPP release is available in full a the link above. In 1987, ABC ran a mini-series called Amerika. It was a tale about life in the United States ten years after the country fell to UN and Soviet Union (yeah, the Soviets were still around then) control. The series included examples of reeduction instilled by the Soviets, stuff that seemed off-the-wall to Americans back then. What's even more amazing is how parts of this indoctrination have become part of our lives today, and we've done it to ourselves. We'll have some examples, and kick around how it happened. We'll also kick around the latest on Occupy Wall Street. 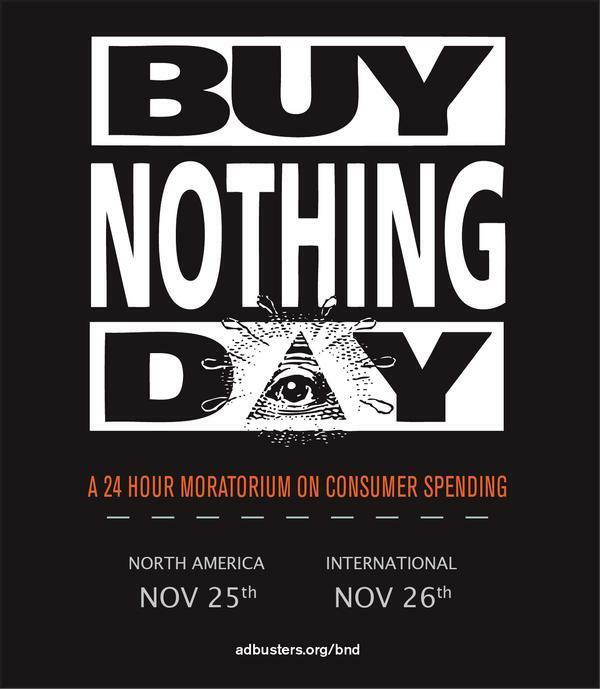 November 17 is supposed to be a day of mass action. 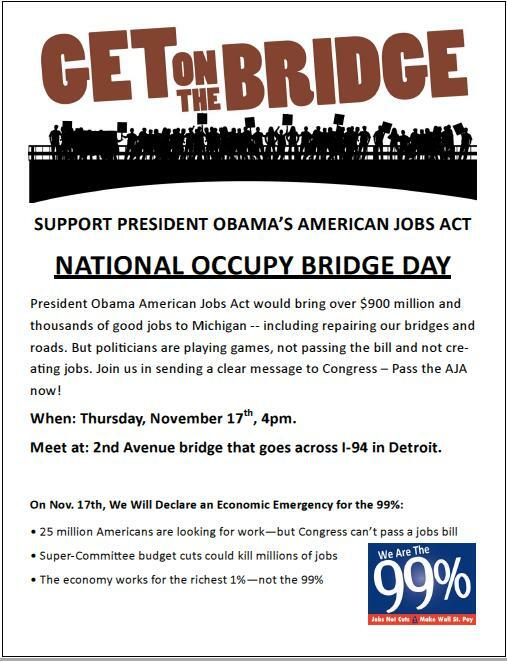 The AFL-CIO also plans to vie for protest coverage Thursday with a round of bridge occupations in cities around the country, but the union-based We are One demos sound like they're shilling for the president's languishing jobs plan. We'll talk about it. Economies are continuing to deteriorate, most noticeably in Europe. And our president seems to think Hawaii's in Asia. If there's anything else on your mind - bring it to the table. The live call-in number is 678-344-9926. Join us Thursday at 1pm EST for Don and Doug on TalksouthRadio.com. Are you ready for the next round down? If you were wondering what the trigger would be for the next round of Federal Reserve quantitative easing, here it is; a combination of bank failure resurgence, along with city and state defaults leading to a clamoring for Federal funds just to stay in operation. Fiat injections in light of this event will dwarf previous measures. In fact, we may long for the days of TARP after the Fed has finished annihilating the dollar in order to plug thousands of ongoing municipal leaks in the hull of our sinking ship. It was written by Brandon Smith, and was part of a guest post at ZeroHedge.com. Read the whole thing here. An unintended consequence of the Fast and Furious gunwalking investigation: Fuzzy stats used by the Obama adminstration to justify calls for more gun control are being revealed as artificially skewed and absurdly inaccurate. At the root of Fast & Furious, and a lot of rhetoric surrounding gun control legislation, has been the gun trafficking statistics provided by ATF. These unclear statistics have fueled the debate, and contributed to undertaking such a reckless operation as Fast & Furious. For example, in 2009 both President Obama and Secretary of State Clinton stated that 90 percent of guns in Mexico were from the United States. But that statistic later changed to: 90 percent of guns that Mexico submitted for tracing to ATF were from the U.S. And now, this year, that number has become 70 percent of guns submitted by the Mexican government for tracing were from the U.S. What are the real numbers? Articles discussing the 70 percent number misrepresent the facts, as I pointed out in a letter to then-ATF Acting Director Melson in June 2011. First, there are tens of thousands of guns confiscated at crime scenes annually in Mexico. The Associated Press stated in 2009 that over 305,424 confiscated weapons are locked in vaults in Mexico. However, the ATF has acknowledged to my staff in a briefing on July 29, 2011, that ATF does not have access to the vault in Mexico described in the story. ATF also acknowledges that only a portion of guns recovered in Mexico are actually submitted to the U.S. for tracing. In a November 8, 2011, court filing, the Chief of ATF’s Firearms Operations Division made a declaration, saying: “It is important to note, however, that ATF’s eTrace data is based only on gun trace requests actually submitted to ATF by law enforcement officials in Mexico, and not on all of the guns seized in Mexico." 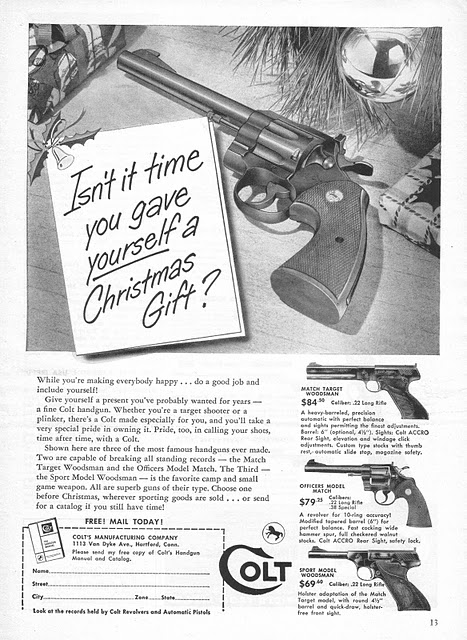 That court filing further states that “in 2008, of the approximately 30,000 firearms that the Mexican Attorney General’s Office informed ATF that it had seized, only 7,200, or one quarter of those firearms, were submitted to ATF for tracing.” So, if Mexico submits only 25 percent of guns for tracing, then the statistics could be grossly inaccurate one way or the other. The discrepancies in the numbers do not stop there. ATF also informed my staff that the eTrace-based statistics could vary drastically by a single word’s definition. For example, the 70 percent number was generated using a definition of U.S.-sourced firearms -- that includes guns manufactured in the U.S. or imported through the U.S. Thus, the 70 percent number does not mean that all guns were purchased at a U.S. gun dealer and then smuggled across the border. It could simply mean the firearm was manufactured in the U.S. So, when my staff asked ATF, how many guns traced in 2009 and 2010 were traced to a U.S. gun dealer, the numbers were quite shocking in comparison to the statistics we’ve previously heard. For 2009, of the 21,313 guns recovered in Mexico and submitted for tracing, only 5,444 were sourced to a U.S. gun dealer. That’s around 25 percent. For 2010, of the 7,971 guns recovered in Mexico submitted for tracing, only 2,945 were sourced to a U.S. gun dealer. That’s 37 percent. Either way, both are a far cry from 70 percent. Not to mention that guns in 2009 and 2010 from gun dealers could include some of the nearly 2,000 firearms walked as part of the Justice Department’s Operation Fast & Furious. Nice to know the ATF can deliver accurate stats when asked to do so. How far out of its way did the Obama administration have to go to come up with the more sensationalized interpretation it tried to put over on us? Maybe it doesn't mean what it once did. 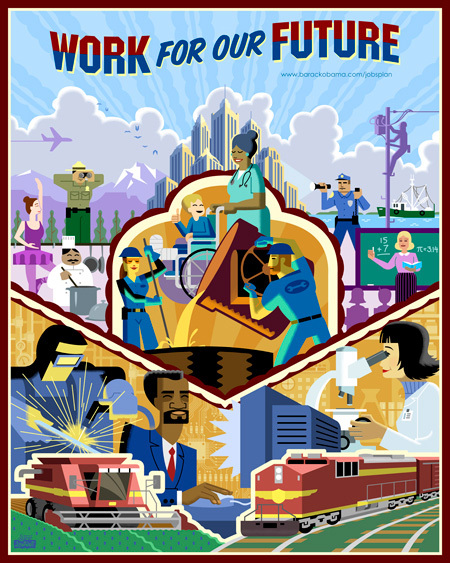 The AFL-CIO, doing business as We are One, plans a series of demonstrations around the country on Thursday. The tactic looks to borrow from the in-the-street nature of Occupy Wall Street, but the goal seems to be to put crowds in the street soliciting support for President Obama's "jobs plan." Los Angeles, Portland, OR and Pittsburgh are among cities with bridge actions planned. 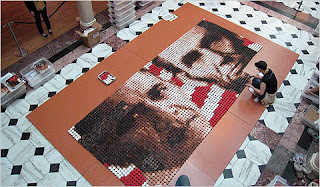 Others are detailed at the We are One website. 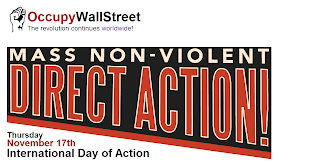 It will be interesting to see how much cooperation and co-mingling occurs between We are One and Occupy Wall Street on November 17th. 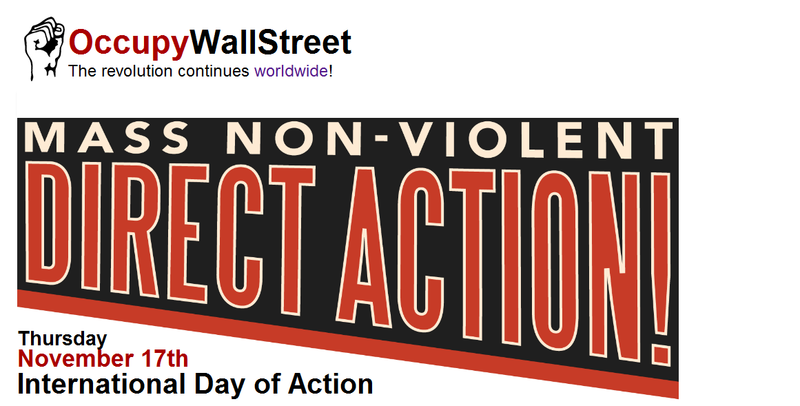 Occupy Wall Street has also announced specific plans for the day, calling it an International Day of Action. 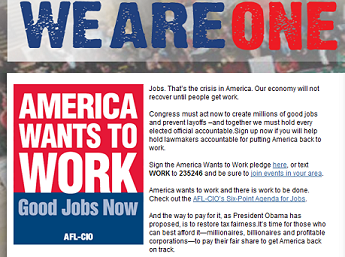 Politico.com reports AFL-CIO President Richard Trumka sent an email to supporters today. In it, he talks like his group and Occupy are one in the same. 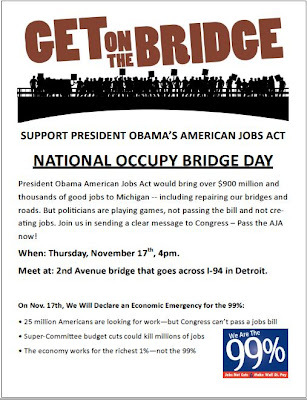 Update 11/16/2011 3:00pm EST: The SEIU is also involved in Thursday's union "bridge" actions. 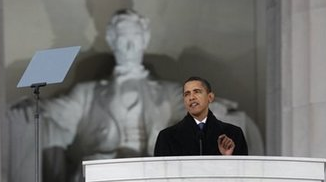 And SEIU makes it clear that the demonstrations are in designed to support the Obama agenda. Don't take my word for it, read what Bloomberg reports about New Jersey. We predicted more decline in property values, more decline in the bottom line when DeKalb County, Georgia chose to raise tax rates by 26 percent earlier this year. The AJC reports on the outcome that's shaping up in line with our expectation. When your county is in a deep depression, bleeding the life out of the people who remain will not return prosperity. As we see in DeKalb, it won't even get you to the next year. I've begun to see Humpty Dumpty as an allegory for failed central banking. The only question is, how long until political leaders finally have to admit they have no fix for the great fall? Today's thoughts from Charles Hugh Smith. In 1987, ABC TV ran a mini-series called Amerika. It told a futuristic tale of a conquered United States under the control of the Soviet Union and United Nations. 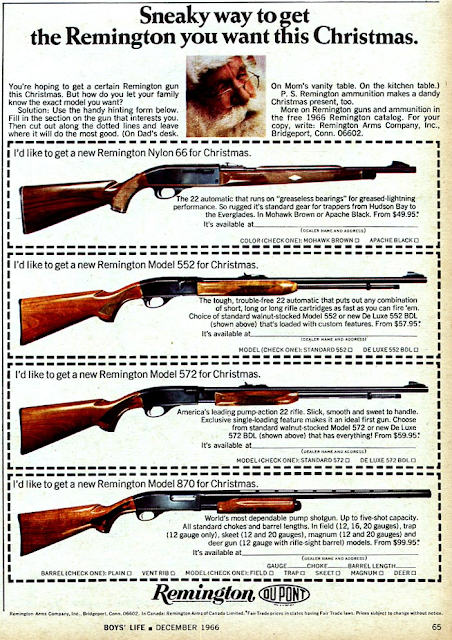 From what I recall, Amerika was greeted with reviews that called it long, tedious, and very far-fetched. Someone's loaded Amerika on YouTube.com, and I've taken some time to sample the first couple hours. Some of the scenes of desolate towns look very much like some of today's U.S. main streets in what we're calling the great recession. Student 1: ...and there was lots of bullies. And when Americans conquered the continent, they killed lots of indians who had been living on the land peacefully for thousands of years. Teacher: Can anyone tell us what caused our ancestors to be this way? Student 2: They believed in survival of the fittest. Everything was run by big companies. And the people who came into the country were forced on building railroads or sweat shops or coal mines for almost nothing, while the companies and bosses and government were rich and lived in big houses and had servants. Student 3: If you couldn't work, they didn't think you were good for anything. And old people had to die because they lived in slums or got hurt in factories. Does this not sound like some social justice curriculum now taught in many public schools? Or the rhetoric spouted on the street by Occupy Wall Street's wannabe revolutionaries? Even our president now stoops to using this kind of anti-capitalist class war rhetoric as he tries to score political points with today's dumbed-down electorate. 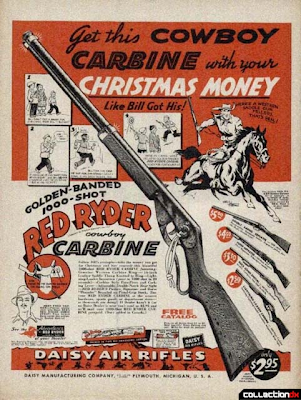 In the fictional Amerika, our reeducation came at the heavy hands of Communist conquerors. So what's the excuse for the prevalence of this kind of anti-American propaganda in today's American mainstream? It appears things have changed a lot since 1987. What was considered absurd then has become the norm now. Maybe we didn't notice because change happened slowly, over time. 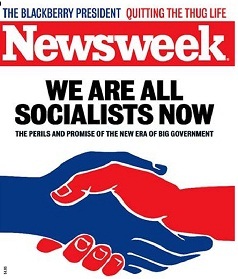 I guess the big question is, do we let our self-inflicted slide to socialism to continue, or do we begin restoration of our country and its economy under more traditional American ideals? Update: We'll likely expand on the Amerika theme on this week's Don and Doug. Join us Thursday, Nov 17, at 1pm EST on TalkSouthRadio.com. A few details have been released about the investigation into the apparent firing of an AK-47 "near the White House" Friday night. U.S. Park Police would like to interview a guy named Oscar Ramiro Ortega. Police say Ortega is 21-years-old. They apparently know he has multiple tattoos, but they don't know where he lives. 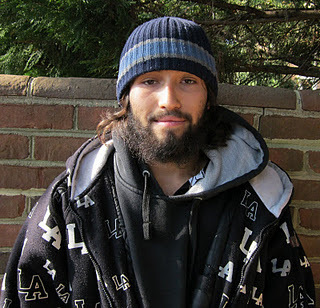 Park Police describe Ortega as a "person of interest." CNN's telling of the story carefully notes "The man has not been charged or named as a suspect, but he may be linked to a vehicle found nearby, police said." No word yet on any trace data concerning the rifle reportedly recovered Friday night. Nor do I see at this time any additional reporting about the Idaho tags initially reported to be on the recovered car the night of the shooting. Update (4:25pm 11/13/2011): The U.S. Park Police website has been updated. It now refers to Ortega as a wanted person and says an arrest warrant has been obtained. Reports of gunfire tonight between The White House and the Washington Monument. WJLA TV in Washington DC is among those reporting an AK-47 was later found in an abandoned vehicle. Any chance ATF will be able to trace the DC AK-47 back to Fast and Furious? And Conyers, a Democrat congressman from Michigan, said it right here in Atlanta to a room full of socialists. You didn't read about in the local paper. Or see it on TV. But Conyers' comments have made their way to Trevor Loudon's New Zeal blog. Here's a link to the program of the event Conyers attended, including mentions of other participants and sponsors. Being an anti-war activist certainly has changed over the years. Code Pink, for instance, seems to prefer doing its fundraising and organizing while sipping tropical drinks on the decks of a cruise ship. 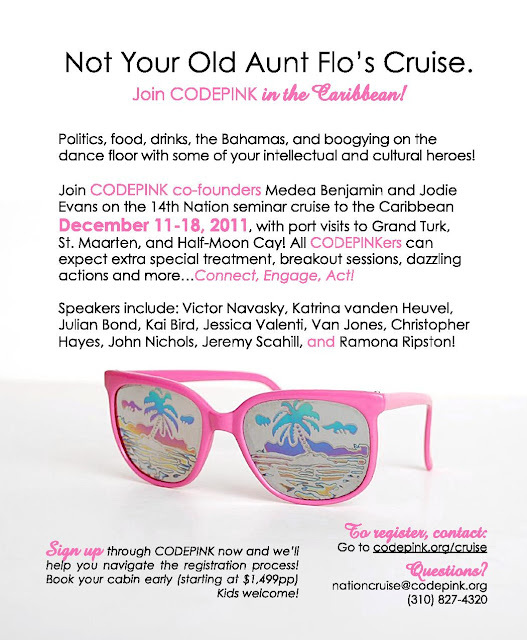 According to Code Pink's website, you can join them for a cruise next month. While Occupy Wall Streeters camp out in tents in cold, wet weather to protest capitalism and corporations, their champions like Van Jones and Code Pink's top leaders plan to mingle with financial benefactors in the dining rooms and on the dance floors of a corporate owned cruise ship. Don't be surprised when you see today's progressives act this way. George Orwell described their mindset perfectly in Animal Farm: "All animals are equal. But some animals are more equal than others." 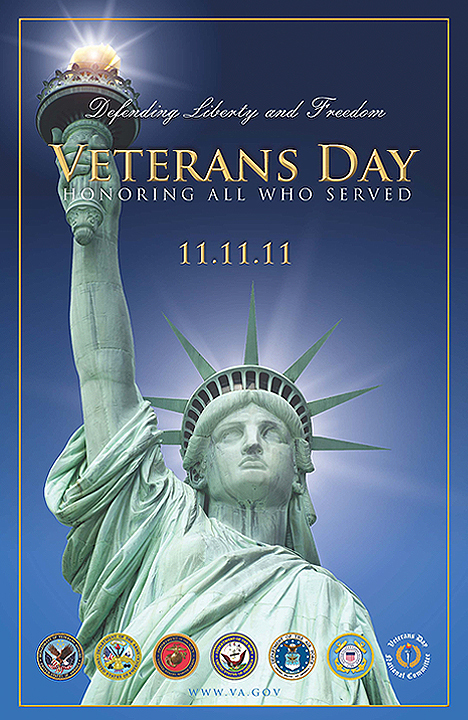 Take some time to remember those who have served and those now serving in the U.S. Armed Forces at home and abroad. But the class of '57 had its dreams. Problem is, many are now convinced they don't have to worry about complications. But sooner or later, they'll find they've been snared. For some, it may come too late. It's been a bad day for Occupy Atlanta. First, its Snellville occupation collapsed. Then reports surfaced that its homeless shelter headquarters in Atlanta has an outbreak of TB. 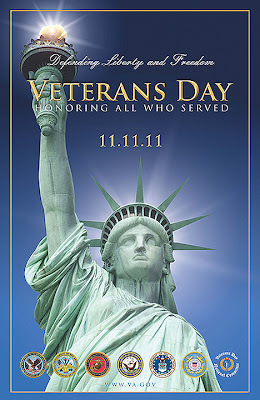 Tomorrow is Friday, November 11th, Veterans Day. Banks are closed. 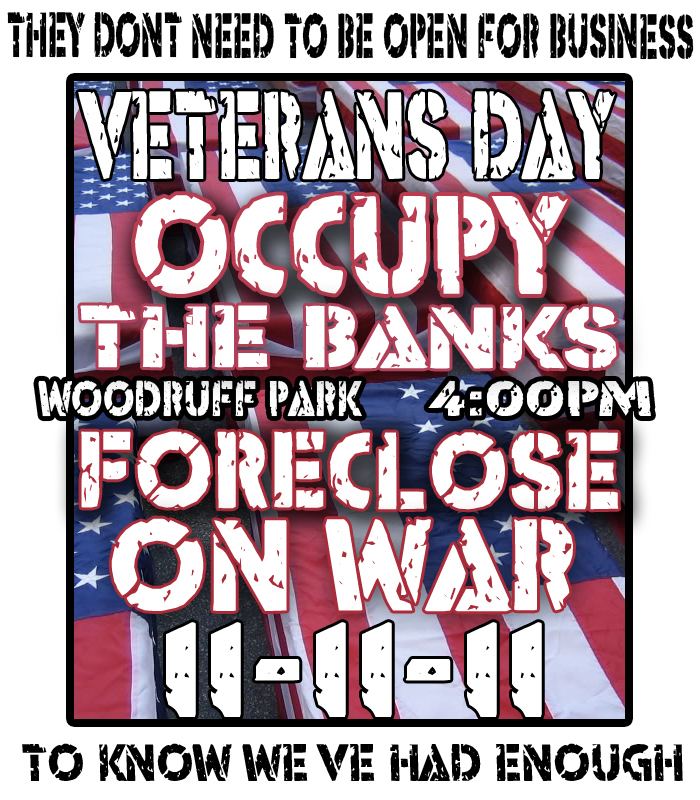 Occupy Atlanta has announced plans to march to a Bank of America office - and "foreclose" on it? 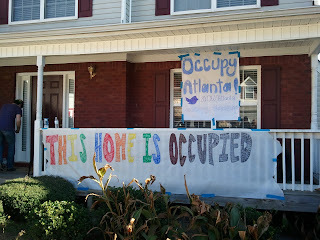 Occupy Atlanta moved off the lawn of Tawanna and Christopher Rorey's home, just in time for the family's eviction. They were taking a stand, and vowed not to leave. Can't wait to hear more of what's behind this new development. 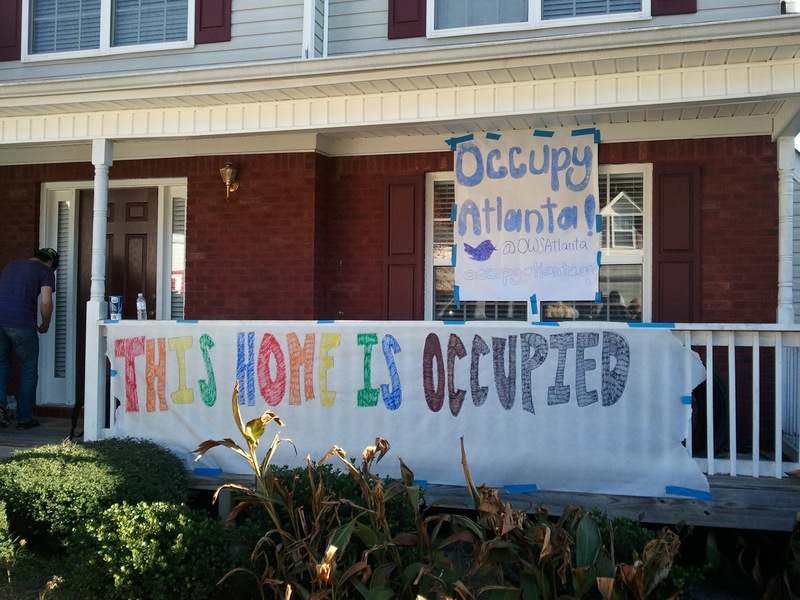 More reporting, little analysis of the Snellville home "occupation"
It gets old watching the media jump all over the Occupy Atlanta based "occupation" of a home that's in the process of foreclosure. According to the protesters, Tawanna Rorey of Snellville, Ga., is at risk of being evicted from her home after she had trouble paying her mortgage and tried to get a loan modification. The authorities say the foreclosure process is ongoing and no eviction is scheduled. If the narrative provided is accurate, the Rorey's had money to cover their mortgage payment, but they decided they wanted to spend the money elsewhere. Educating a daughter may be a worthwhile endeavor, but should you really expect your mortgage company to underwrite the bill with a modification? The Roreys also appear to have fallen for a slick come-on by an alleged con man. Is this the mortgage company's fault? Occupy Atlanta also describes Mrs. Rorey as a full-time homemaker. Is this by choice? A lifestyle decision? Again, based solely on the narrative provided by Occupy Atlanta, the family comes off looking like it wanted its mortgage company to subsidized its lifestyle by lowering its payments. If the lender was pursuing foreclosure while simultaneously pursuing the loan modification, surely the Rorey's had some notice. They chose a path with risk. They took the risk. And now want someone to bail them out for a series of what appear to be largely self-inflicted mistakes. There are foreclosure cases where lenders have engaged in egregious practices. And in some cases, the lenders don't even have documentation they are the legitimate lien holders on the property. I'd have more sympathy for someone in a situation like that. Or someone who fell behind due to long term illness or unemployment. But to argue a stay-at-home mom deserves a loan modification because she and her family need money to take on a new obligation of sending a daughter to college just falls flat with me. It's a year since the midterms, and despite the huge GOP landslide, what's been fixed? Occupy Wall Street now appears to be more of a muddled mass chaos than movement. It didn't knock us out of our seats last month like Van Jones promised. Does the left have a follow up? Or is this as good as it gets? 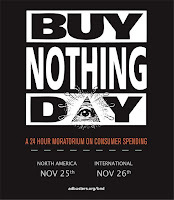 We'll also spend some time on a societal trend that may hurt us all as economies decline. Many people have become so specialized in their professions and skill sets, they have an overwhelmning dependence on others. So what happens when those with other specialties are no longer available to provide their services? We may talk about some simple, practical skills people can learn fast that can make a difference going forward. Join Don and I as we talk about these topics and more on Thursday, November 10th, at 1 pm EST. 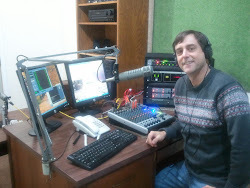 You can access the show through TalkSouthRadio.com or listen to the stream simply by clicking here. Occupy Wall Street members are being tutored in something called Guerrilla Gardening. How many people can realistically be fed by what proponents describe as "an unstructured way of people just going out and planting seeds where food deserves to grow"? 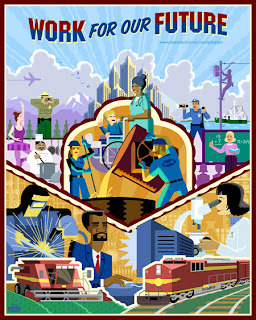 I think we've just been handed yet another sign that Occupy's promised Utopia is far more fantasy than fact. 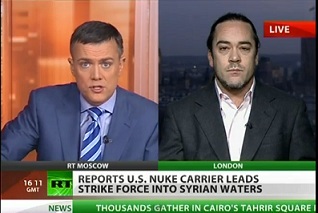 The International Atomic Energy Agency issued a report today. programme. After assessing carefully and critically the extensive information available to it, the Agency finds the information to be, overall, credible. The information indicates that Iran has carried out activities relevant to the development of a nuclear explosive device. The report, which also addresses Iran's possible study of missile delivery systems, can be found here in pdf form. No blogging today - except for this. I had some business to attend to. 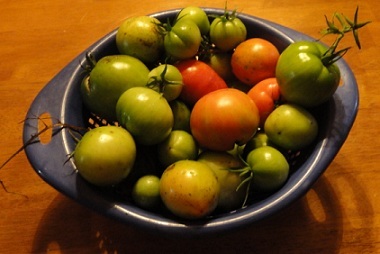 And hit some thrift stores, flea markets and did some grocery shopping while I was out. Prices are getting a little wacky even there. An Army surplus store in Atlanta had some decent looking medium ALICE backpacks with frames. But they wanted $90.00 each for 'em. You can get similar items on eBay for about $40.00 including shipping. Peanut butter was the other shocker of the day. Kroger had 16 ounce Planter's brand peanut butter on sale for $2.65. Last month, Kroger was running specials and handing out coupons that let me get 28 ounce jars of the same brand for, as I recall, under two dollars. Not everything about prepping for a storm or some other emergency involves stocking up on supplies. Don and I spent part of today's show talking a mindset needed to see yourself through an emergency. Among the mental skills is something we call situational awareness. Click here for a six minute segment where we describe what me mean, and give some examples. The full two-hour show, with a broader emphasis on advance preparation for emergencies, is available here. Maybe it's because they indoctrinate their young to protest at a very early age. Students, teachers and parents from Redwood Heights Elementary make some noise on the corner. Students have been learning about Cesar Chavez, and had a chance to make their own signs and take a stand to defend their school. Is Occupy Wall Street a political movement? Or has it become little more than the target of TV satire? There are additional cips, and a link to the episode at the South Park website. I suspect there's likely a lot of South Park fans among the Occupiers. I wonder how they feel about seeing themselves portrayed this way. A homeowner captured a robbery suspect in Gwinnett County, Georgia. On November 1, 2011 at about 4:30 PM, Gwinnett County police officers responded to a reported carjacking at 765 Sunset Ridge Lane in unincorporated Lawrenceville. Officers met with the victim, Robin Watkins (W/M, 46 years old), near the intersection of Simonton Road and Madison Chase Way. Watkins reported that he was at the incident location to paint the house and had been working on it for the past two days. He was behind the house painting when he heard his vehicle (a black 1985 Chevy pick-up truck) start up in the driveway. Watkins ran around the house and saw the suspect, Albert Lee Hughes Jr. (B/M, 39 years old), sitting in the driver seat. Hughes attempted to pull out onto the street and the truck stalled. Watkins jumped into the bed of the truck as Hughes got it started again. Hughes drove away with Watkins in the bed. According to Watkins and witnesses, Hughes drove erratically, swerving and hitting curbs. Watkins felt that Hughes was trying to dislodge him from the bed of the truck. When the truck pulled over, Watkins jumped out. Hughes abandoned the vehicle a short distance away and fled on foot. Several officers responded to the area to begin a search. The GCPD police helicopter responded to assist in the search. Other units responding to assist included the Sheriff’s Office K-9 Unit, the Lawrenceville K-9 Unit, and the Norcross K-9 Unit. At about 5:45 PM Russell Gray (W/M, 55 years old) arrived in the area. He was returning from work to his residence in the 500 block of Savannah Rose Way. Gray was told that a search was underway for a suspect. He returned to his home and decided to check it thoroughly. Gray checked his home with his personal gun in hand, and located Hughes hiding in his basement. He ordered the suspect back outside at gunpoint. Officers were in the immediate area and took Hughes into custody. Officers confirmed the suspect’s identity, and determined that he lived across the street (776 Sunset Ridge Lane) from the location where he stole the truck. He is currently in custody at the Gwinnett County Detention Center. Hughes has been charged with one count of Robbery and one count of Aggravated Assault. He will also be charged with one count of Criminal Trespass for entering Gray’s home. Americans have become used to warning before potential disasters. Americans have become addicted to rushing out to get ready just before something like a snow storm or hurricane hits. Waiting until the last minute to stock up on supplies is probably a relatively new phenomenon. Or at least one that's become far more prevalent as forecasting has improved in recent years. But waiting until the last minute still has some major pitfalls. Don and I will talk about differing preparedness philosophies, and discuss some practical applications, Thursday (November 3). The live program starts at 1pm EDT on TalksouthRadio.com. The live call-in number is 678-344-9926. I also monitor comments on Twitter (@TalkSouthRadio) during the show. Assistant Attorney General Lanny Breuer admits mistakes, and expresses regrets in how he handled early reports of 'gunwalking' by the Bureau of Alcohol Tobacco and Firearms. Senator Chuck Grassley (R-IA) was among those who questioned Breuer at a hearing of a Senate Judiciary subcommittee on Tuesday. During the same hearing, Sen. Diane Feinstein (D-CA) attempted to blame lax gun control laws, not mistakes by the Obama administtration's Justice Department for the gunwalking scandal. Feinstein said "it's just not right" to beat up on the ATF. You can read more about the Democrat senator's attempt at spin at The Daily Caller and Townhall.com.